VOTING GOES MOBILE. The 2016 U.S. election was not exactly the most secure affair. Even though tech companies and lawmakers are still sorting out what happened, that’s not stopping West Virginia from thinking big and bold in 2018. 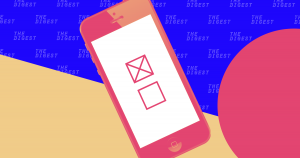 According to a CNN report published Monday, the state plans to let soldiers who are permanent residents of the state but are serving overseas vote via their smartphones using a blockchain voting app called Voatz. It will mark the first time U.S. citizens can vote via mobile app. ROCK THE VOATZ. To use Voatz, soldiers will first need to prove they are who they claim to be. The registration process involves uploading a photo of their government-issued ID and a video of their face, taken like a selfie. The app’s facial recognition software will look at both the photo and video to ensure they depict the same person. After this verification process, the soldiers will be all set to cast their vote. Once they do, the app anonymizes the ballots and records the votes on a blockchain, a secure digital ledger that’s nearly tamperproof. “A HORRIFIC IDEA.” “Nearly” is the key word there — someone can change the data recorded on a blockchain. And given all the studies showing how easy it is to hack the U.S.’s electronic voting machines, many people think we should be transitioning back to using only paper ballots, not testing new ways to vote electronically. MAKING THE LEAP. Still, West Virginia’s Secretary of State Mac Warner insists Voatz is secure. Historically, election security has been one of his top priorities — earlier this year, he secured $6.5 million in federal funding to spend on equipment, cybersecurity, and training to ensure the state’s elections are safe and secure. West Virginia already tested Voatz in two counties during the primary elections, and several audits of the voting app revealed no issues. We’ll just have to wait to see if the same holds true in November. If it does, more governments could adopt blockchain-supported voting apps in the future.